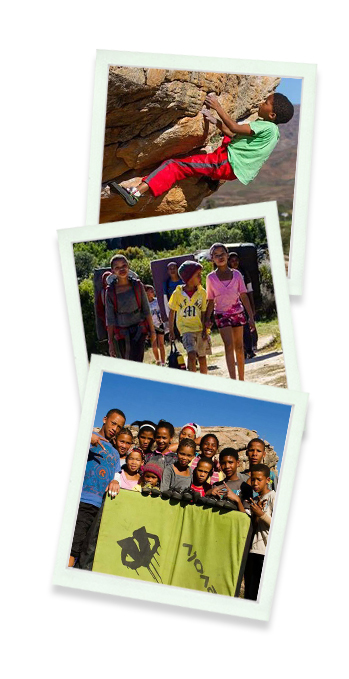 The Rocklands Rangers is a team made up of twenty children from the ages of 5 through 17, all of whom live in the community on De Pakhuys Guest Farm, Rocklands. They are a talented group of young climbers from the Elizabethfontein Primary School, who have been climbing alongside the farm’s clientele for over several winter climbing seasons. The team has steadily grown in numbers as the childrens’ interest in climbing has developed. Over the last three seasons it has become a regular weekly event, thanks to the relentless enthusiasm and organisation efforts of German climbers Moritz Eisenlauer and Julia Lette.